By train, coach and foot, take in the awe-inspiring mountain scenery of both the United States and Canada on this 11-day adventure. Embark on a dual-country train vacation as you discover the natural beauty of Glacier National Park and the wonder of the Canadian Rockies. Begin your trip in Chicago, where you board the legendary Empire Builder for a 1,620-mile overnight journey to Glacier National Park. 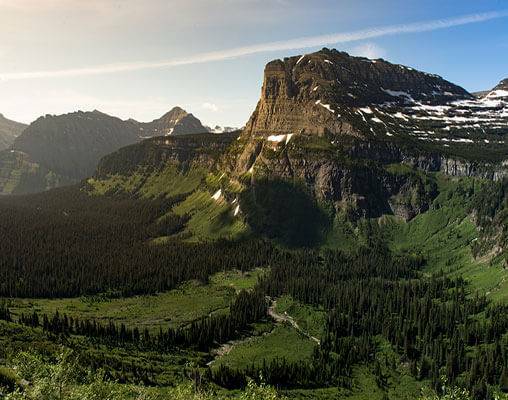 Tour the park with the group, then enjoy all of the dazzling mountain scenery, sparkling lakes, and diverse wildlife Glacier National Park has to offer over the spectacular Going-to-the-Sun Highway. 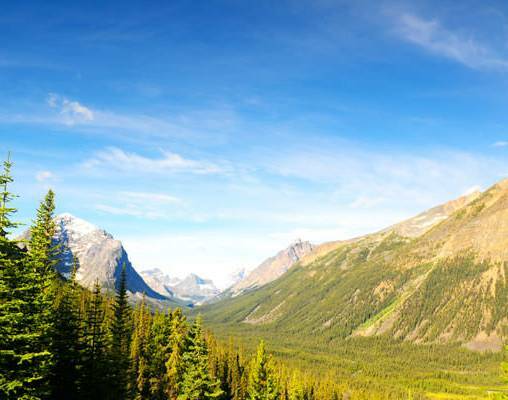 After your time at Glacier National Park, board a motorcoach for a full-day scenic journey to Banff. 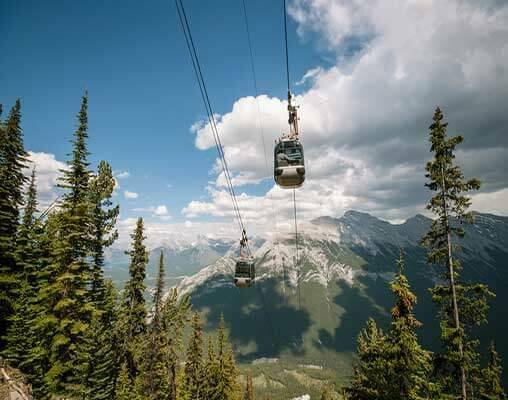 Explore this breathtaking alpine town as you embark on a gondola ride to the top of Sulphur Mountain. From Banff, the famed Icefields Parkway takes us to the Columbia Icefields and Lake Louise on the way to your next destination, Jasper. 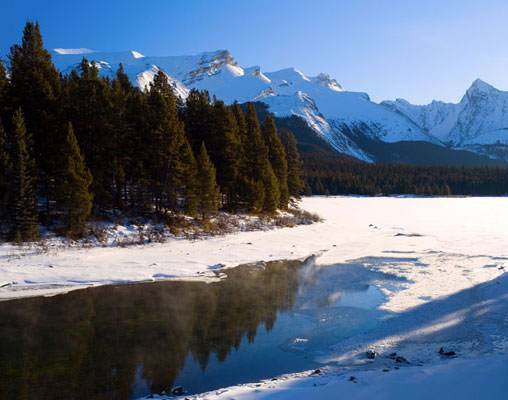 Spend the day at leisure discovering the gorgeous city of Jasper, then the next morning, embark on a day excursion to Maligne Lake for a scenic cruise, followed by a motorcoach tour of Yellowhead Pass for spectacular views of the Canadian Rockies. Reboard the Empire Builder in Shelby, Montana for the ride back to Chicago, where this tour comes to a close. Glacier and Canada's Mountain Majesty tour members will meet the Tour Director in Chicago's Union Station. We will board Amtrak's Empire Builder for the 1620-mile journey at 2:15 p.m. across five states to Whitefish, Montana. Relax in your comfortable reclining coach seat with leg rest. Roomettes or Bedrooms are available at an additional cost and include dining car meals. Go to the glass-walled Sightseer Lounge car for spectacular viewing. This evening you can enjoy an optional full-course dinner in the dining car; lighter fare is available in the lounge car. We'll have a short stop in Minneapolis - St. Paul this evening. During the day we will roll across the remote flatlands of North Dakota and eastern Montana. This evening a dramatic panorama of Rocky Mountain peaks will begin to rise above the horizon, becoming increasingly dynamic as we approach Glacier National Park. The scenery is striking as we wind past waterfalls, river gorges and other sights. The glass-walled lounge provides an excellent vantage point. Arrival in Whitefish is scheduled this evening. The Best Western Rocky Mountain Lodge is our home for the next two nights. 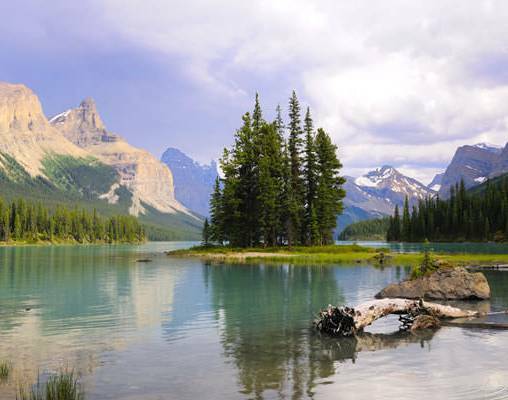 This morning we'll travel to nearby Maligne Lake and embark on a scenic cruise. This afternoon we'll board our motorcoach and travel west through the Yellowhead Pass about 50 miles to enjoy more of the spectacular Canadian Rockies scenery. We'll view Mt. Robson, the highest peak in the Canadian Rockies at 12,972 feet. We'll return to Jasper for a second night. We'll go through Minneapolis-St. Paul, we head south along the west bank of the Mississippi River. The train winds between the river bank and high bluffs. Later in the morning, we pass through the picturesque Dells Country of Wisconsin. The Empire Builder is scheduled to arrive at Chicago's Union Station late this afternoon. At the conclusion of the tour, some travelers will continue to home destinations. Others will spend the night in Chicago and continue home tomorrow. 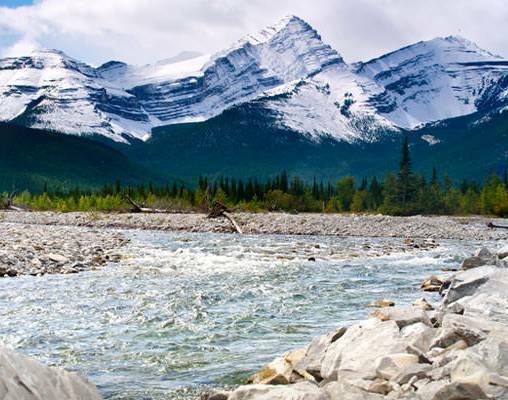 Click here to view testimonials for Glacier and Canada’s Mountain Majesty. Enter your details below if you would like to be notified when 2020 dates and prices are available for Glacier and Canada’s Mountain Majesty. Prices are land-only, per person based on double occupancy. Prices are correct at the time of this web page going live; however, are subject to confirmation at time of booking. Please note a valid passport is required for this tour.